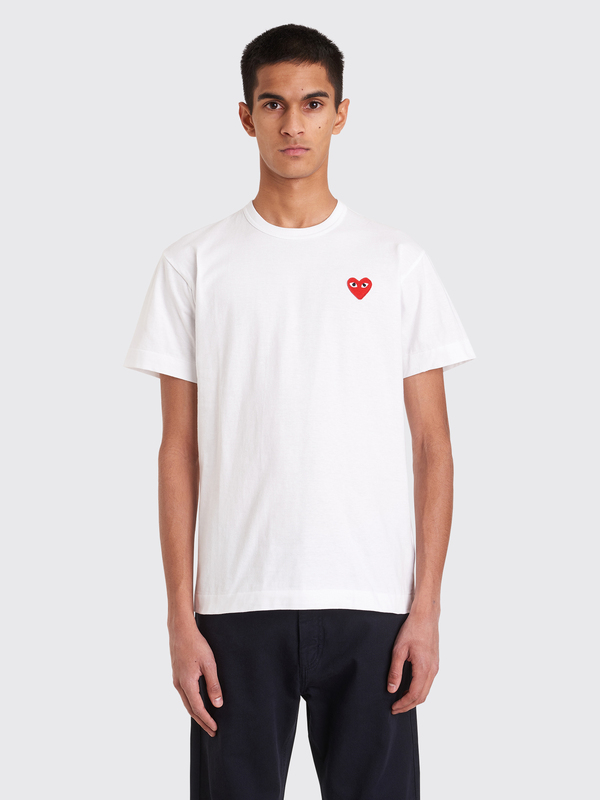 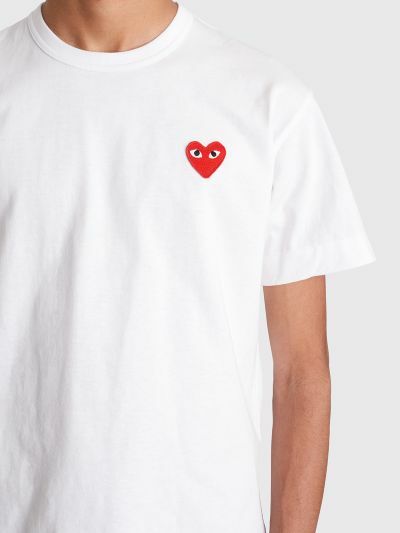 T-shirt from Comme des Garçons Play. 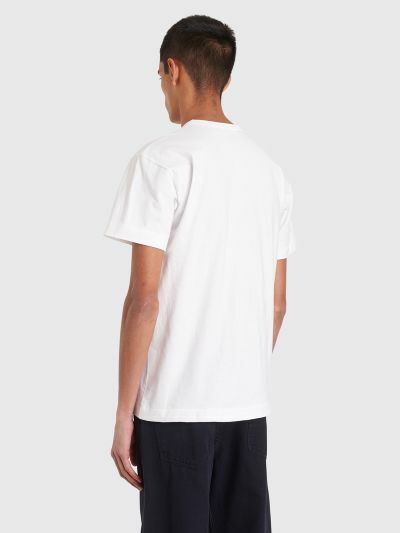 Ribbed round-neck. 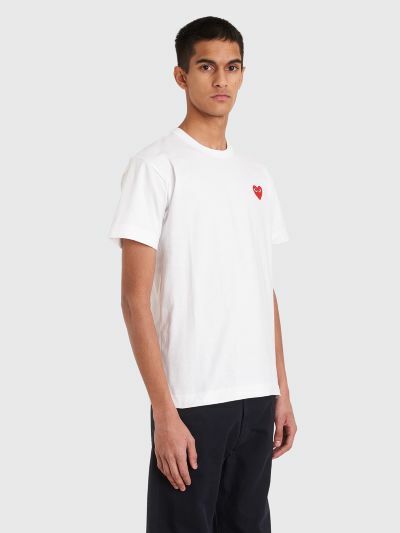 Contrasting sewn-on logo patch on the chest. 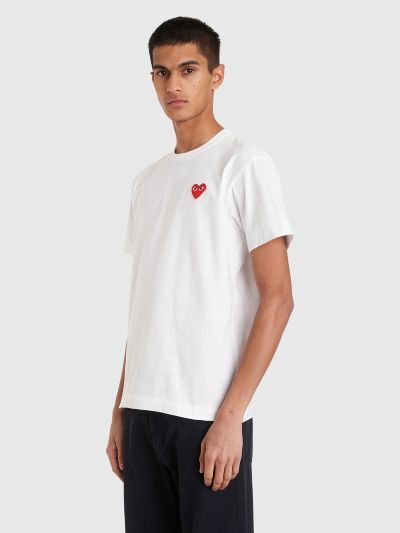 Short sleeves and a straight hem.